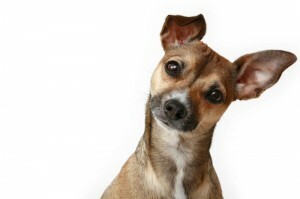 What your pet’s ears may be telling you about their health. (inflammation or fever) or the ears are tender to the touch – pay attention! yeast to grow. Diet can also be a contributor to yeast in the ears. In Traditional Chinese Medicine (TCM), the kidney meridian opens to the ears so, when ear problems are present, it may a kidney deficiency or imbalance and by treating the kidney we can resolve the ear issue. Redness, infection, or inflammation in the ear would indicate an excessive yang pattern and it is necessary to clear the heat and cool the blood. Following TCM one could do this by feeding cooler proteins in the diet such as turkey, fish, rabbit, beef or pork. Another form of resolving ear problems in Traditional Chinese Medicine is by working on acupressure points that will repair the kidney and the lower Triple Heater meridians and bring balance back in addition to calming the inflammation and irritation in the ears. Acupressure points along the Kidney and Triple Heater meridians that will cool blood and clear the sensory orifice by dispelling external wind are Ki1, Ki10, TH1, TH10, TH17. Points to consider to stop the progression of hearing loss are TH21, SI19 and GB2. See diagram for points. There are many natural and holistic ways that we can deal with ear issues and that will aid in getting rid of yeast, allergies and moisture. As mentioned above, you can adapt the diet to cool the body down according to the meridian system or you can muscle test to find exactly what your individual animal needs to be eating to clear the issue. Flower Essences such as Crab Apple can cleanse the ear and can be offered orally or topically. Earth Angel Oils has wonderful oils, unique sets and often has specials going on! Energy work always helps and a technique used in Tellington Touch called ear slides will bring animals out of shock by sliding your fingers from the base of the ear up toward the tip of the ear. Doing this several times will calm the animal and bring them out of a trauma state. For basic energy work, please refer to our August 2011 newsletter in the archives. Whether it is energy, acupressure, herbs or homeopathy, muscle testing each animal to determine the best method of healing is the ideal way to get a quick and simple solution. Not to sound like you are listening to a broken record (yes we talk about muscle testing all the time), but listen to your body and it won’t lie! If you do not know how to do muscle testing, we offer an instructional ebook that will teach you how to do it on both animals and people.